Dr. Melissa Layne is the Associate Vice President of Research and Innovation at American Public University System (APUS). 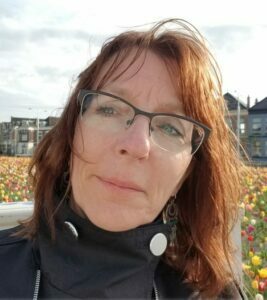 She also serves as the Founding Editor-in-Chief for the International Journal of Open Educational Resources—the first official academic journal devoted solely to promoting OER research, and to integrate Blockchain technology to permanently record an author’s work. The first inaugural online issue brought an impressive 5,553 new members in the first three weeks of the website’s debut. Layne’s research agenda includes topics on Open Educational Resources and a) student retention; b) Blockchain and academic publishing; c) academic peer review; d) incentivization; e) self-paced instructional design and implementation; f) text and predictive analytics, and g) machine learning and AI. Her research has been awarded by several distance learning organizations including the Online Learning Consortium (OLC), National University Technology Network (NUTN), and the Distance Learning Administration (DLA). Layne also served as an Advisory Council Member for, and Contributor to the New Media Consortium annual issue of The Horizon Report. She was also an Invited Participant for the Bill & Melinda Gates Foundation Postsecondary Next Generation Models Advisory Council. 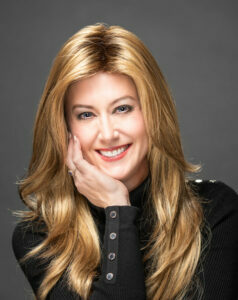 She is currently a member on several top tier editorial and advisory boards. Her work has been covered in well over 50 peer-reviewed journal publications, 10 book chapters, presentations, and invited keynotes. Currently serving as Pro-Vice Chancellor Flexible Learning and Director, Center for Flexible Learning, at the University of the South Pacific, I have spent most of my professional life in the higher education sector in a variety of roles to do with enhancing learning and teaching practices in distance education, online learning and elearning, as well as in education more generally, and in various jurisdictions and geographical locations around the world. 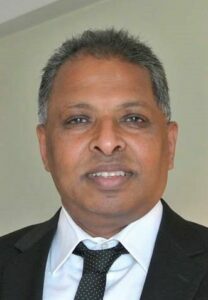 Naidu served as president of the Open and Distance Learning Association of Australia for two consecutive terms. And in May 2014 the Open University of Sri Lanka awarded him a D.Litt. (Honoris Causa), in recognition of his extensive contribution to the field of open, flexible, distance and e-learning both regionally and internationally. Naidu’s 40 year plus career in education started with serving as a high school teacher and a curriculum development officer in the Fiji Ministry of Education, followed by a lecturer role in distance education course design at the University of South Pacific. Following doctoral studies in Canada, Naidu took an appointment as Assistant Professor of Educational Technology at Concordia University, Montreal, and then moving to Australia where he held a number of roles in several Australian Universities. 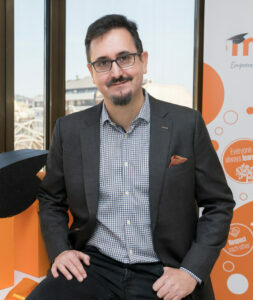 This included roles as Senior Lecturer in Instructional Design and Technology (the University of Southern Queensland), Associate Professor of Educational Technology and Multimedia Education and Head of Research and Evaluation (University of Melbourne), Associate Professor and Director of Teaching and Learning Quality Enhancement (Charles Sturt University), Associate Professor (Learning Transformations) (Swinburne University of Technology). Naidu’s formal educational qualifications include a diploma in education from the University of the South Pacific, a Bachelor degree in Education (curriculum and instruction) from the University of Waikato in New Zealand, a master degree in education from USP, and a PhD in Educational Technology from Concordia University in Montreal, Canada. 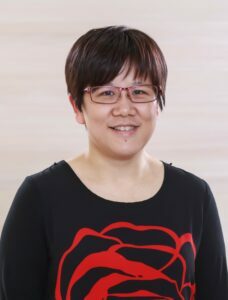 Marian Wan is the Associate Dean of the Office of Information Technology at Taipei Medical University (TMU). In 2017, she founded the Digital Initiative Center at College of Interdisciplinary Studies in TMU, whose vision is to promote the best practices of OER, e-learning and MOOCs. Marian has serves as the delegate of TMU in OEC since 2007 and as a Board member in Taiwan Open Course Consortium. She presented reports at more than 5 OE Global or Asia Conferences. As a lecturer of Applied Information Technology in TMU, she has applied OER in her courses for a decade. The practice reports were presented in Global Conferences as well. Since 2012, Marian had organized the MOOCs Production Studio for TMU. Currently, 60 courses have been produced. More than 10 courses are English-speaking courses, which is outstanding in Asia. Moreover, most of them are reused in various courses in TMU as flipped classroom. Marian holds a Master of Computer Science, and a Bachelor of Pharmacy. Recent interests of research includes educational technology and digital intelligence in higher education. As Director of Open Teaching and Learning for SUNY OER Services, Alexis Clifton works with the 64 State University of New York (SUNY) institutions to establish, support, and expand their OER programs. She helps to identify each institution’s goals for open education, as well as to foster collaboration between campuses to expand options for effective open practices. From her home campus at SUNY Geneseo, Alexis manages professional development opportunities on open practices for SUNY faculty and staff. She leads initiatives to support discipline-specific advancement in the use of OER. Prior to joining SUNY in 2017, Alexis taught writing and composition courses for over 15 years at community colleges in Washington State. She has worked with community colleges and universities across the United States to support OER program implementation. 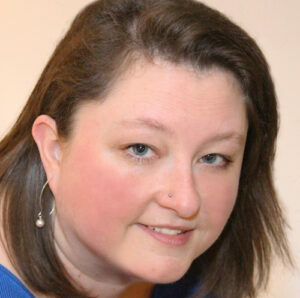 She has served as an OER project manager, content developer, and instructional designer in the humanities. Follow her on Twitter @openalexis. OEC Welcomes New Board Members!